Trevor Edwards | all galleries >> Sheppey Pictures and Postcards >> Eastchurch > Eastchurch.Cliffs. This photograph is taken in the 1950's and shows the group of people walking east in Third Avenue just passing Dawn Rise(road) at Eastchurch Cliffs. 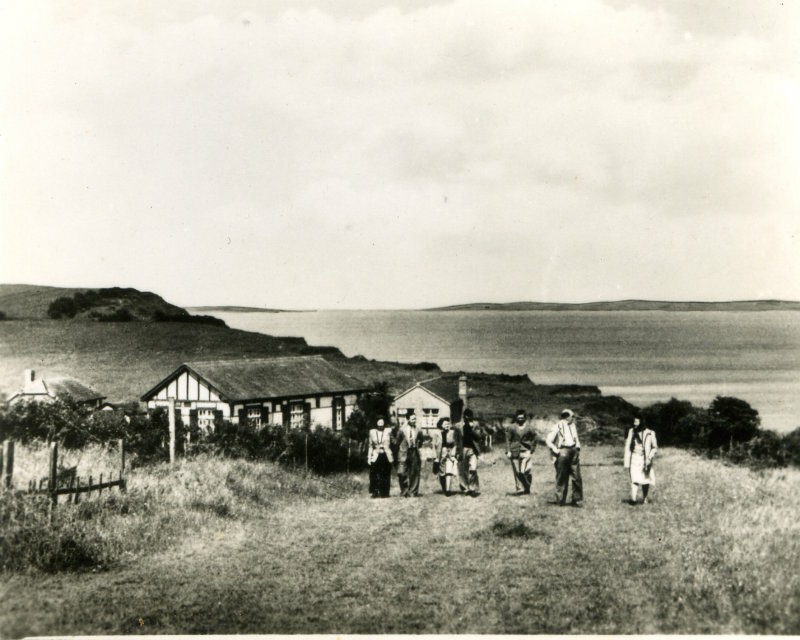 The little house directly behind them was known as Sea Gap, and the larger bungalow with the shutters was Four Winds. The wooden fence to the left of the picture belongs to a small bungalow called Rodney, named after the WW2 Battleship, which belonged to my grandparents until 1978.